Nature's Secret Ultimate Cleanse is a good value overall for the money spent. It is made by Nature’s Secret and their products are available at most large chain health food and nutritional supplement retailers, like Whole Foods and The Vitamin Shoppe. It’s on sale right now for between $12 - $13 online at the Vitamin Shoppe website and at amazon.com. 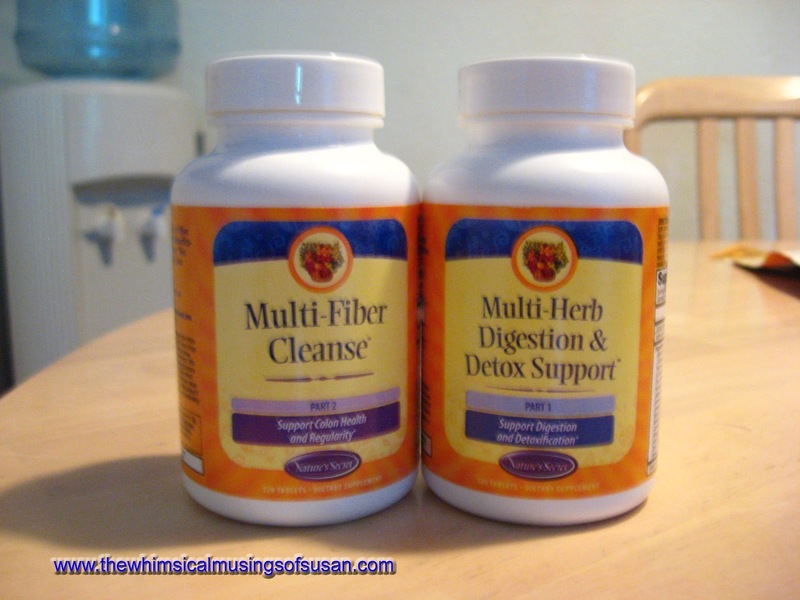 The product is designed to be a total body detox and cleansing system. The supplements come in tablet form and contains about 30 different herbs to detox and energize the body. There are two sets of pills that must be taken daily for up to 30 days. 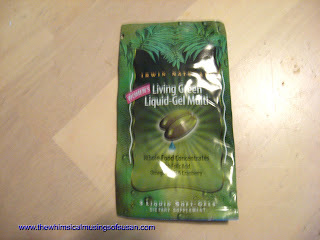 I have been using this product on and off now for about six years, with good results. After the first day of taking the pills I usually start to see some results. I have two very soft bowel movements per day during the first few days of taking this product. There is a lot of waste coming out (probably months worth of toxins and build up). The thing that I enjoy most about using this product is that it helps with constipation. The stool comes out soft and formed, rather than liquid as occurs with some laxatives. It’s not recommended for long term use beyond 30 days consecutively. 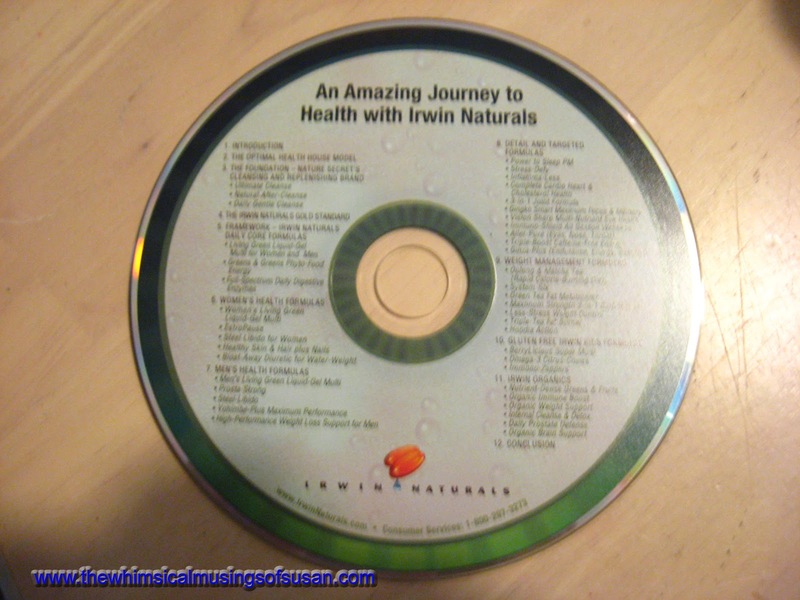 The tablets came with a free CD, entitled "An Amazing Journey to Health with Irwin Naturals" and a free sample of Irwin Naturals Women's Living Green Liquid Gel Multi Capsules. The CD provides some general health information, but it is mainly an introduction to the different types of product that the company offers. ﻿﻿﻿﻿I think that one of the downsides to Nature’s Secret Ultimate Cleanse is that it contains Cascara Sagrada, which may cause discoloration of the intestinal lining. Therefore, it can interfere with procedures like colonoscopy, because the doctor may not be able to see the intestinal lining tissues very well. The other negative is that since it is in tablet form, the herbs and nutrients are not as easily absorbed. Also, the tablets are large, so if you are taking several in one sitting, you might want to do it very slowly. Take the tablets very slowly to prevent choking, and to wash away the funny, bitter taste of the tablets. I am not sure whether the product passes muster as a total body cleanser, but I am satisfied that it is an effective colon cleanser.